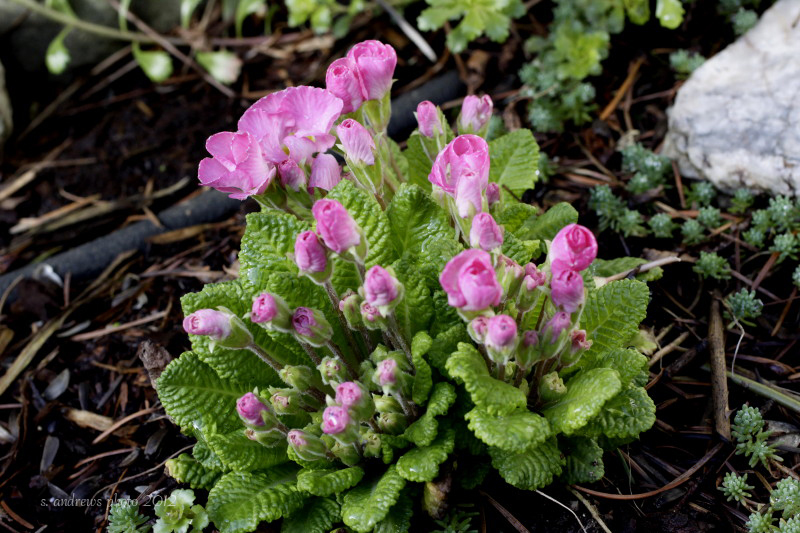 This will be the first post of what I hope will be several over the season, covering my garden and how it changes and grows this year. 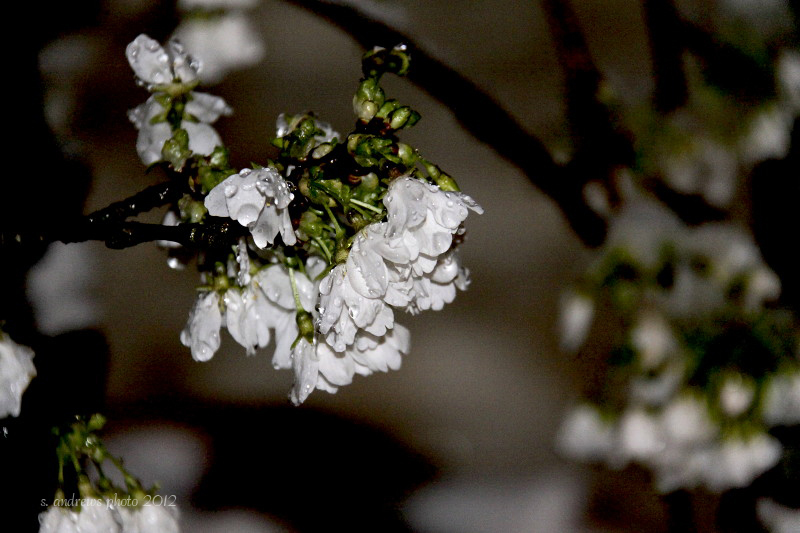 Like many gardeners in temperate climate zones, I feel that my garden never really sleeps. 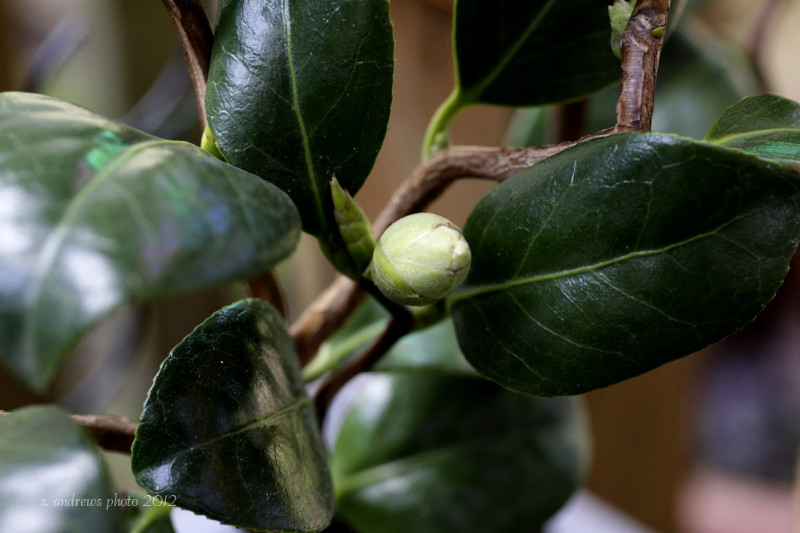 There is a quiet break between the beginning of the Christmas season, after the greens for the holiday are harvested, and the end of January. 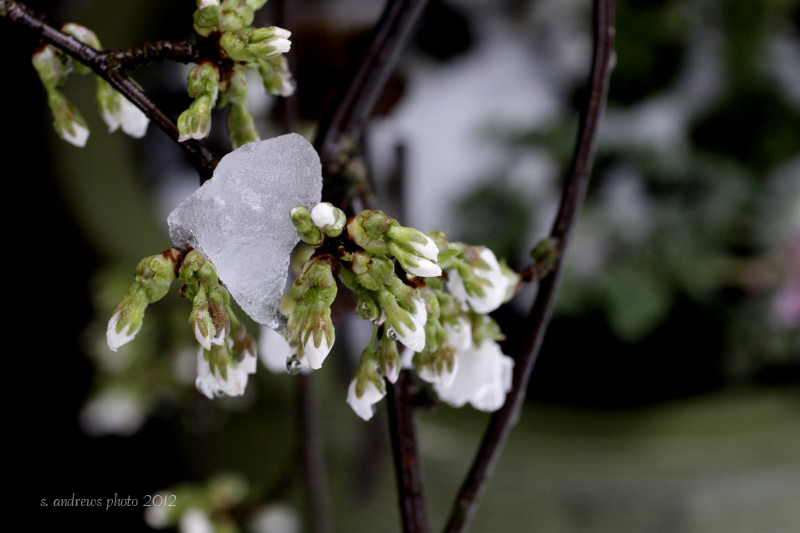 Not a lot goes on during those days, well except for maybe a bit of freeze protection here and there for plants that don’t belong in our climate zone. 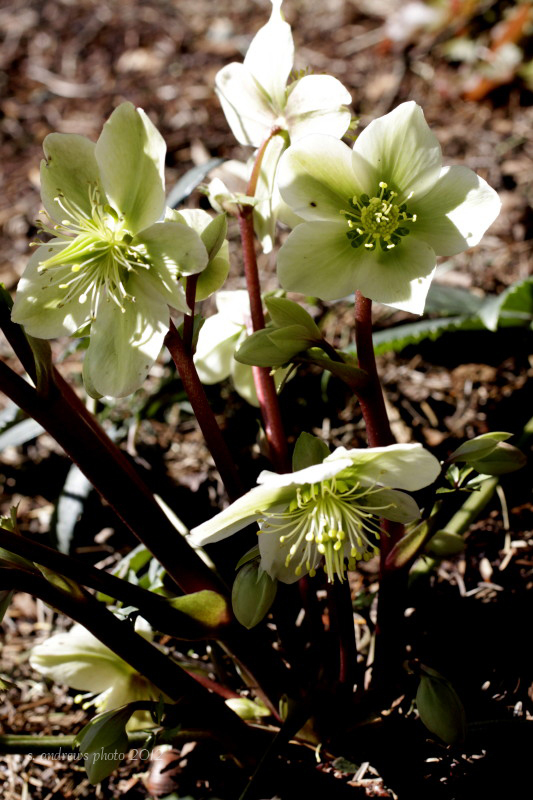 (But who can resist their beauty and the chance that they may actually make it thru a mild winter)! 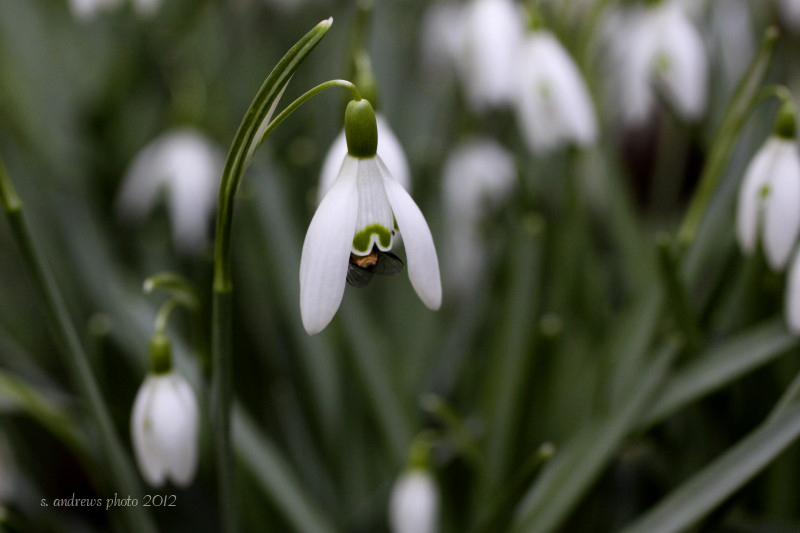 The earliest bulbs to break the soil in my garden are my snowdrops; one of the reasons I really love these little gems. 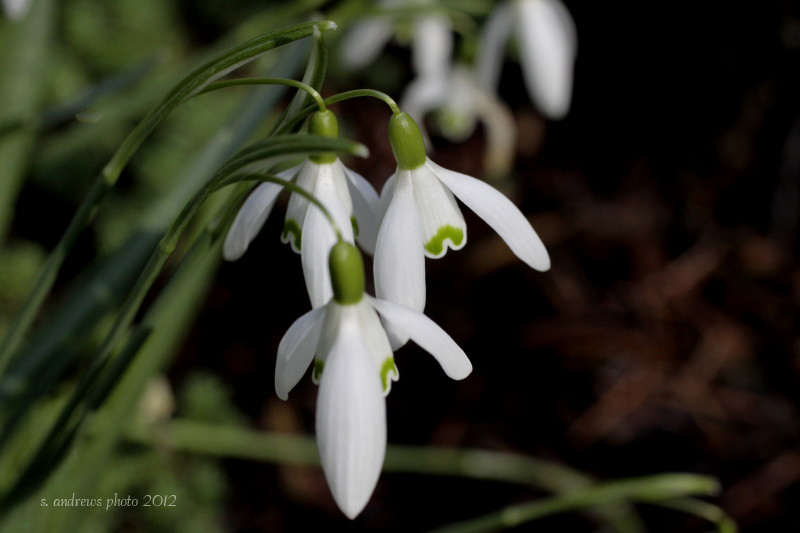 They are a tiny bloom with a big impact on my well being, promising the magic and beauty to come in the next year. 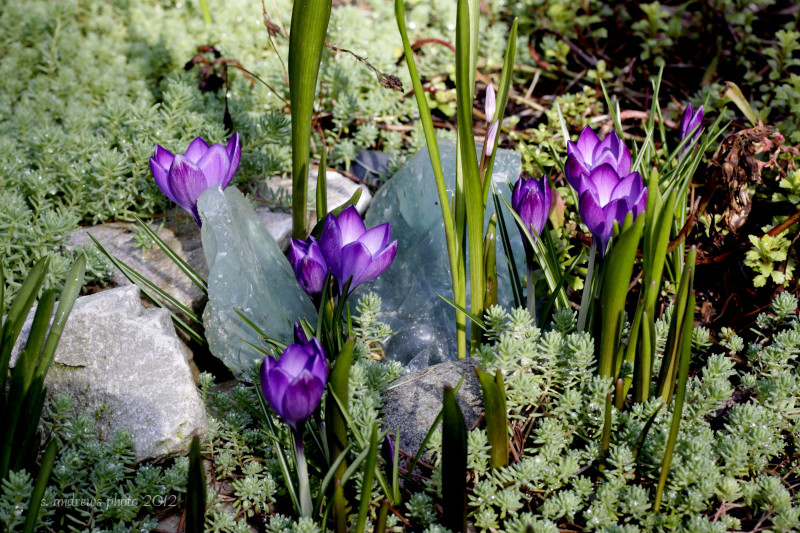 My first few bulbs were given to me by a fellow gardener many years ago, when we first moved to the area. They have multiplied and spread, as promised into a nice clump right outside my sliding glass window. And this year I had the opportunity to “Pay it Forward”, when I thinned out some stray plants this year and gave them to Jane, another fellow gardener. 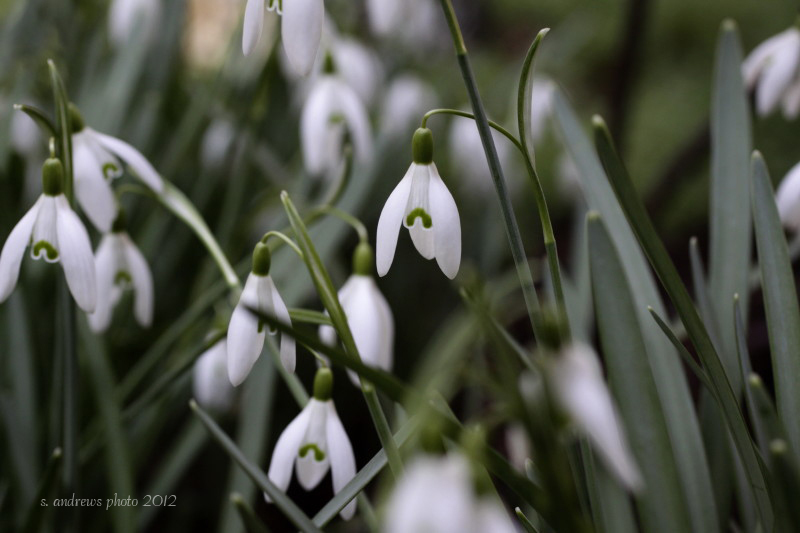 But my story today isn’t just about the Snowdrops, its about all the early spring blooms that we cherish so much in our yards during the very wet late winters we get here. Just to put it in perspective: we have had over 5 inches of rain this month, about double what they call “average” for our area. 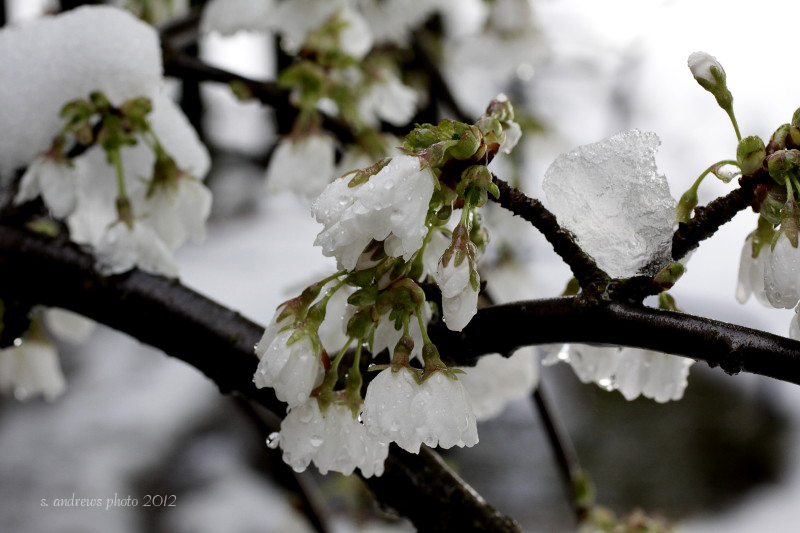 And actually some of that “rain” was snow, which you will see in the photos too. 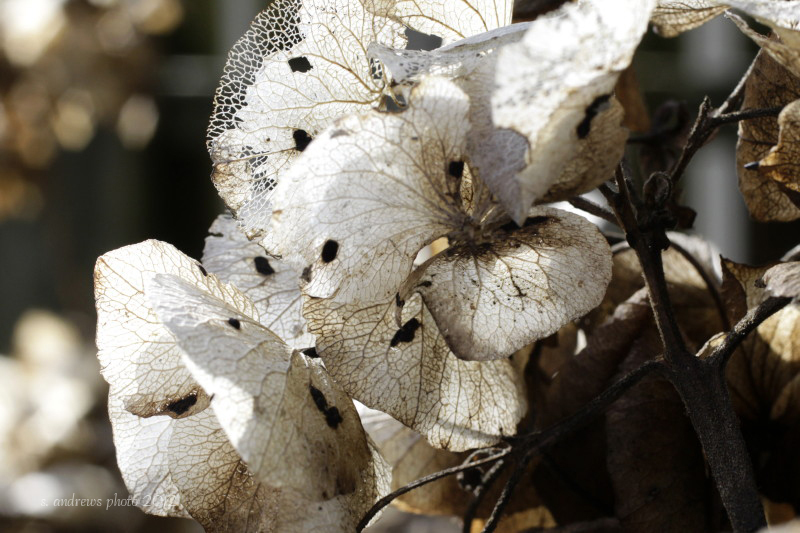 I began shooting for this post in the beginning of the month, but as time ran away from me and I couldn’t quite carve out the time to write, the garden changed again. 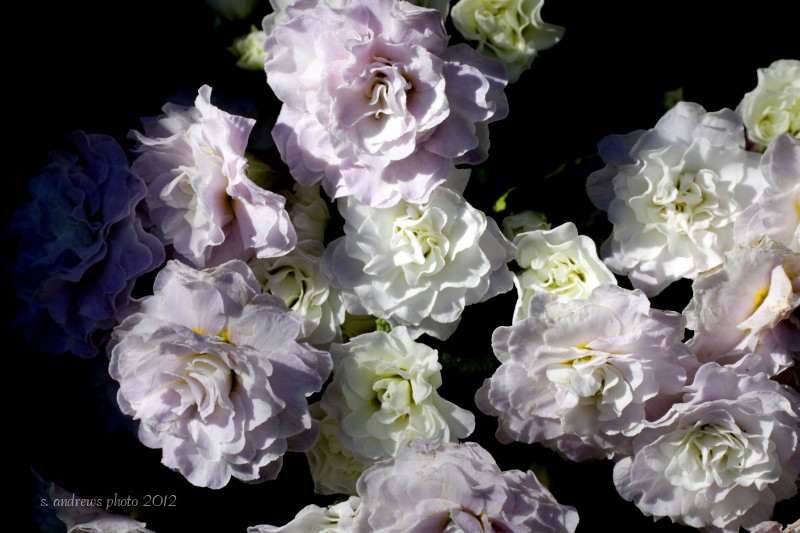 I have sunny blooms and snowy blooms, daylight and nightlight shots for you in this series. I will let the photos tell the rest of my story. *click the first thumbnail to open the photo carousel and view the photos with comments. Timeline begins in February, this shot is from March. 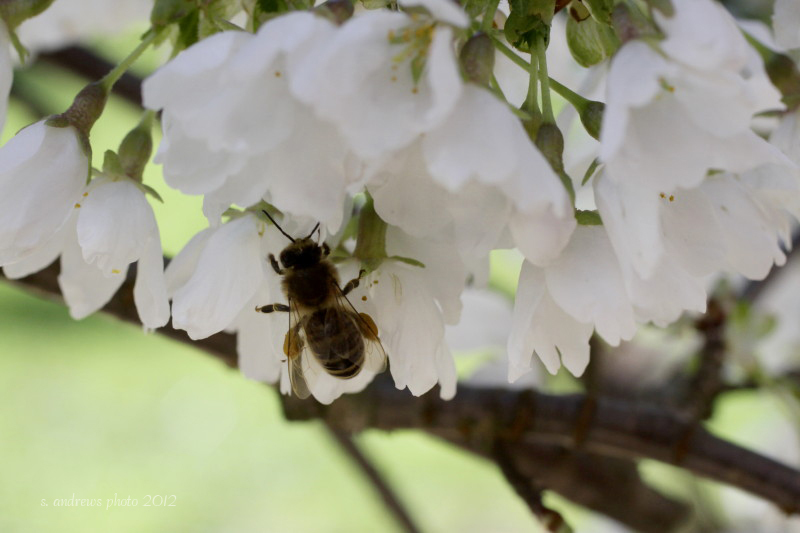 I always wondered how the bees pollinated these tiny flowers. 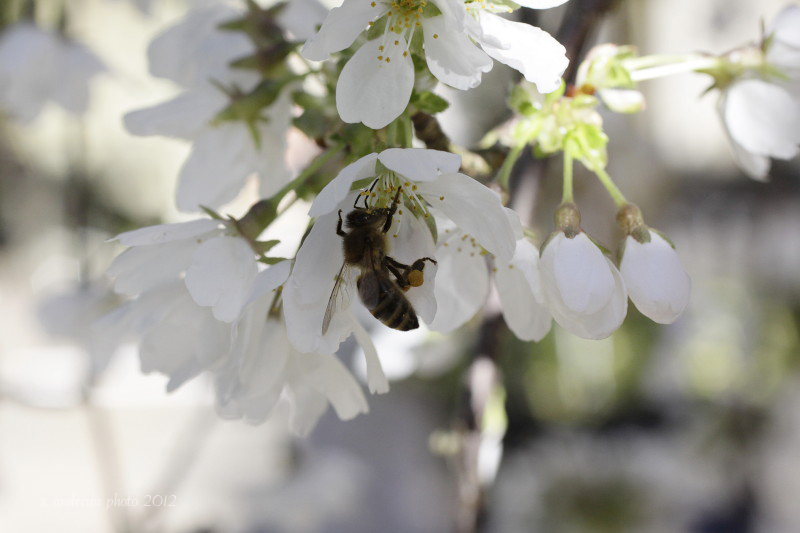 Look closely you can see the tips of a bee’s wings and body under the bloom in this photo and previous. 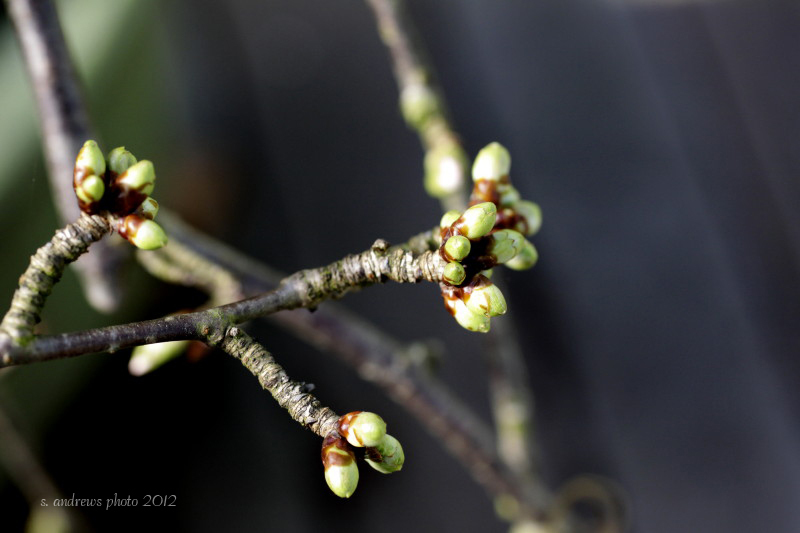 Cherry Tree buds swelling to bloom, early March. A snowfall in early March, didn’t last long on the ground. 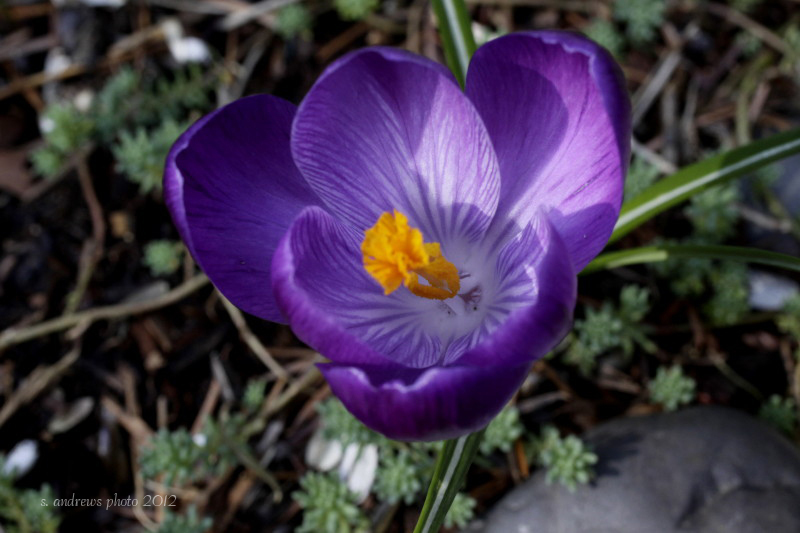 The warm sunshine got me out of the house to capture these crocus blooming in the garden. 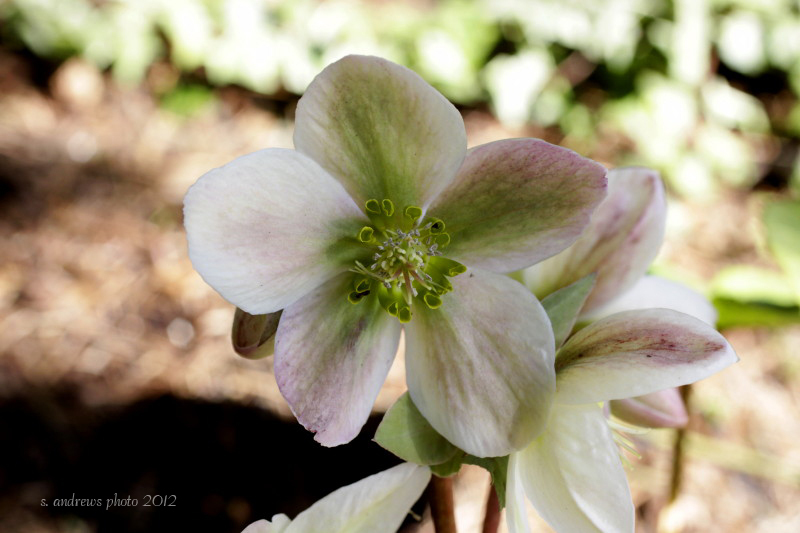 Love the “painted” lines on the petals. 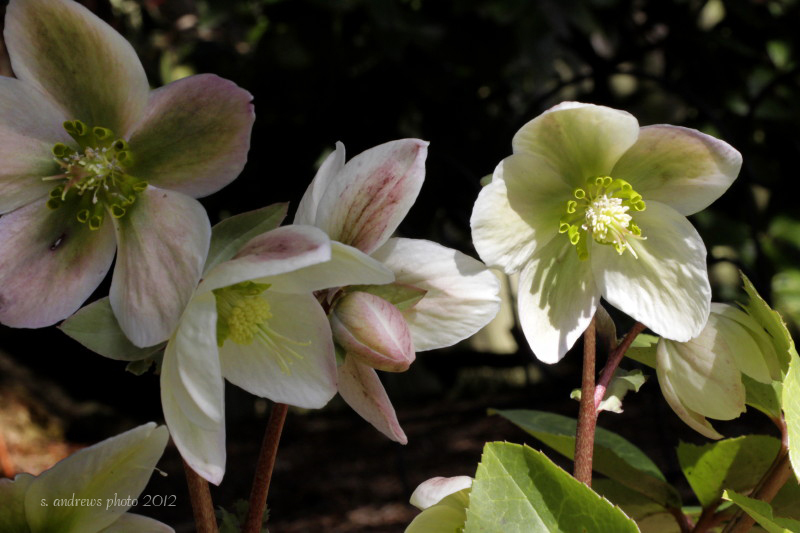 The first year for my Hellebore’s. 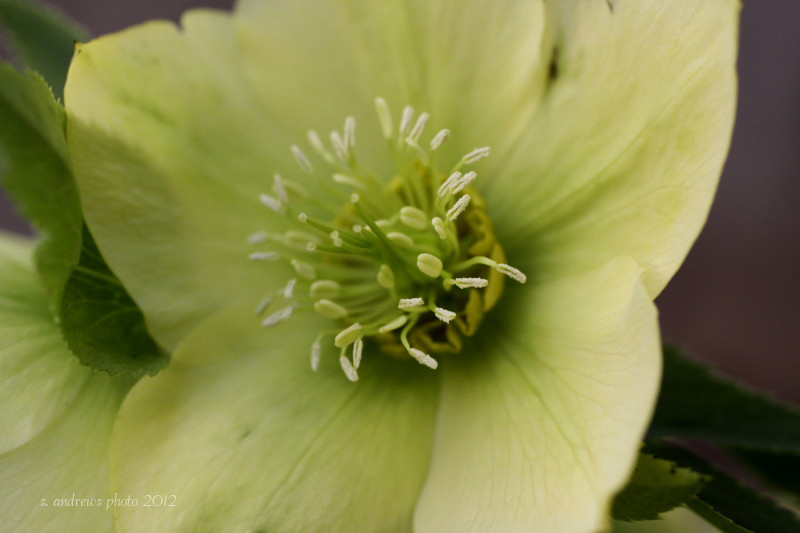 I love the green color and classic 5 petal star shape. I can see these plants from the kitchen table. 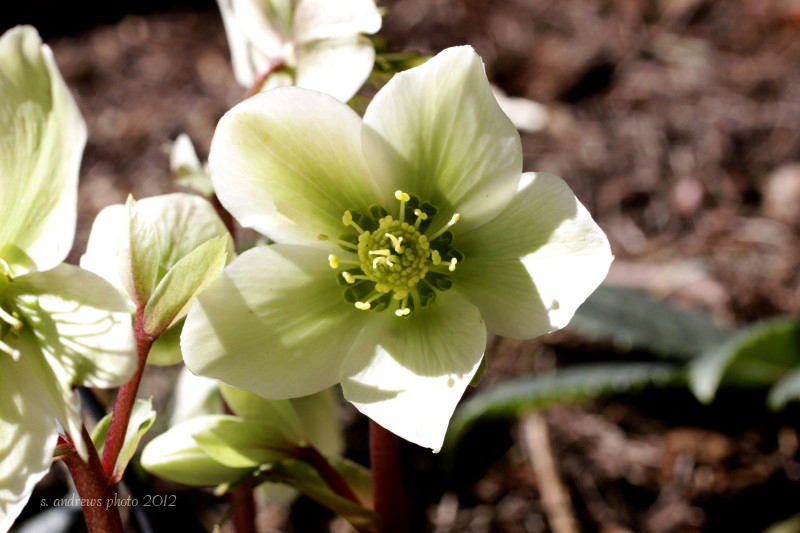 A new addition from a Reta, another gardening friend. Love the green/yellow color! 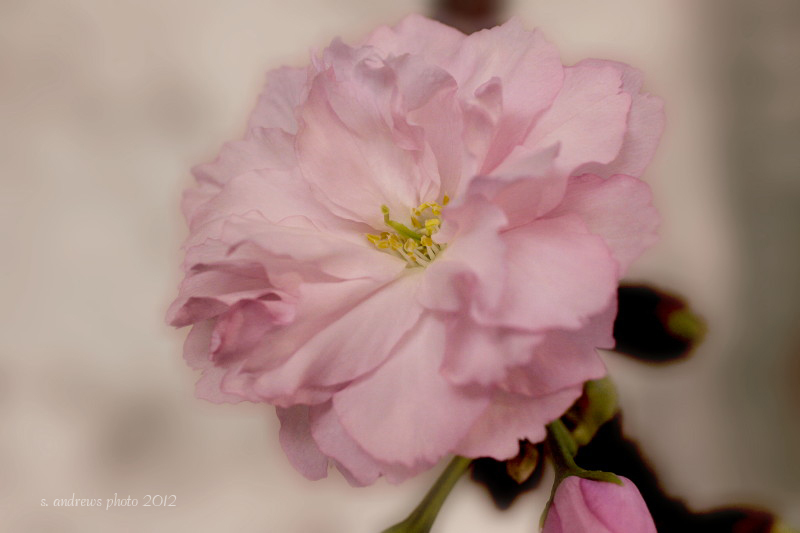 A Kwanzan Flowering Cherry bloom I forced in a vase. Bloom is about 1 1/2 inches. And here comes the snow! 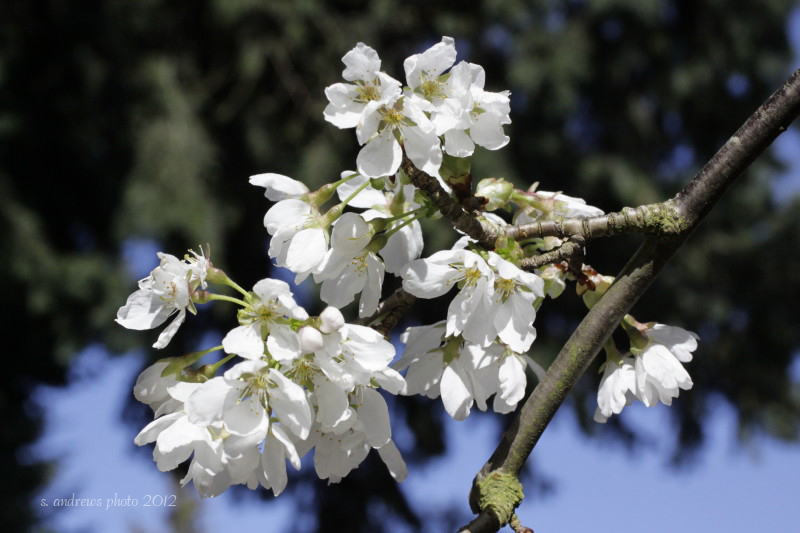 It was only last week …. 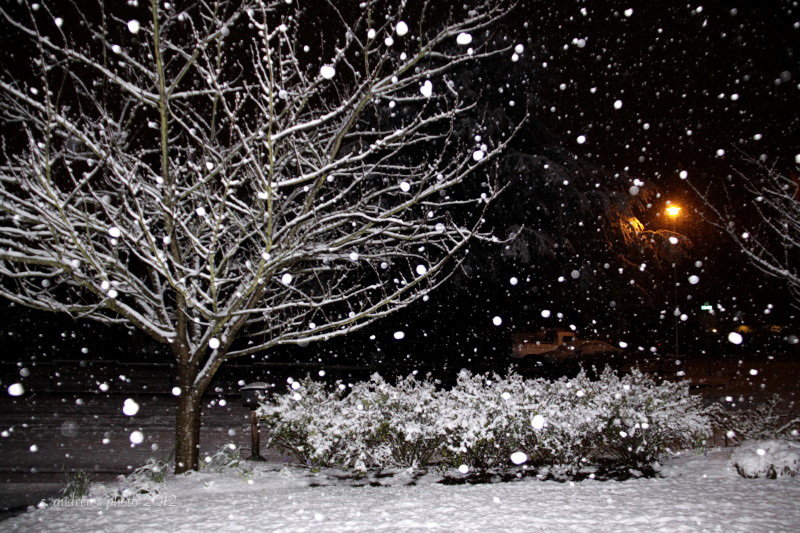 It lasted about a day, but most the snowfall was at night. 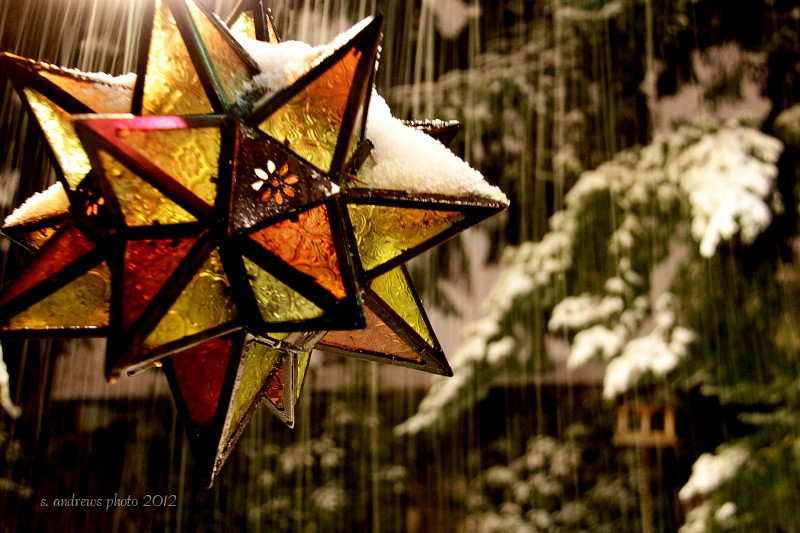 A deck ornament, that is the snow lit by the lights. 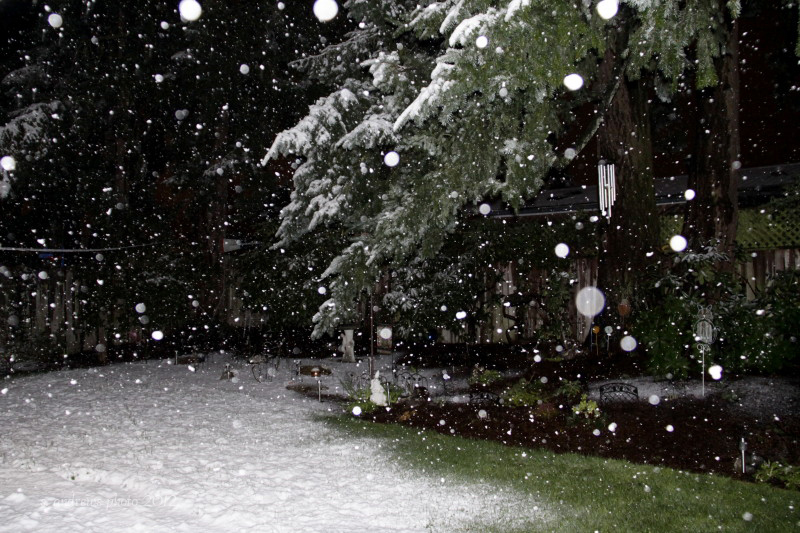 The Flakes were so large they made a streak of light on the image. 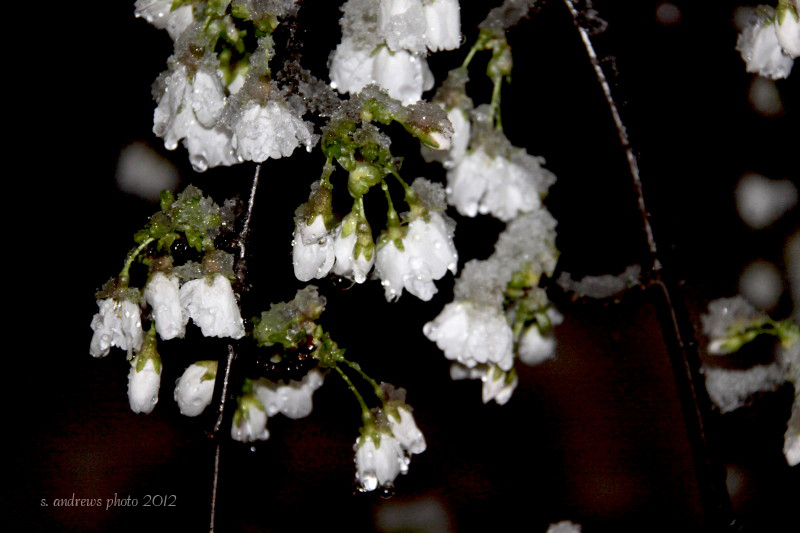 Snow on the cherry blossoms, taken after 2 inches of snow fell that night. Another night shot of the tree on my deck. The next morning the snow was still there, out I went to capture the scene. 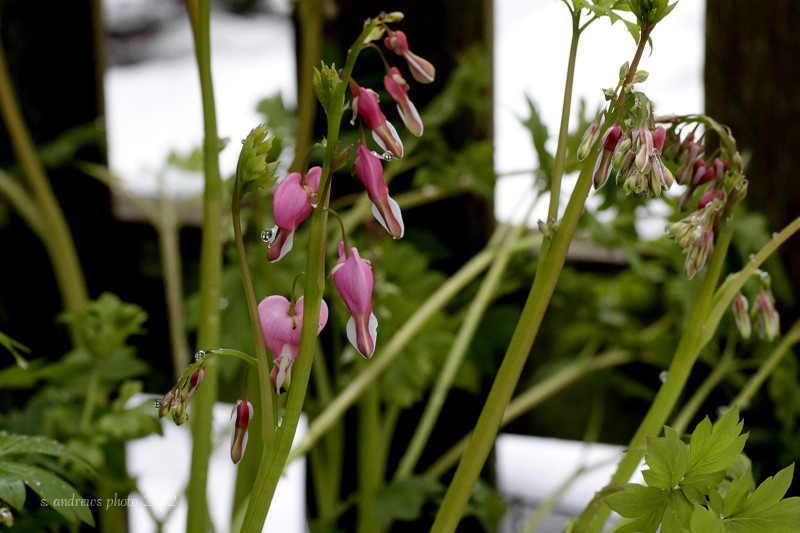 Bleeding hearts with snow in the background, taken the morning after. 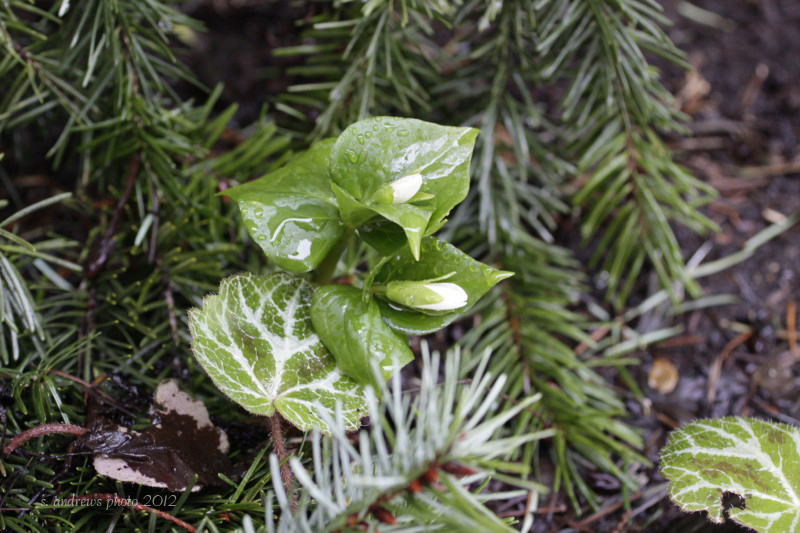 A simple Trillium beginning to bloom. Another day later, we were rewarded with a 60 plus degree day. This tree is around 15 years old, sitting in a large pot on the deck, is only 3 feet tall. 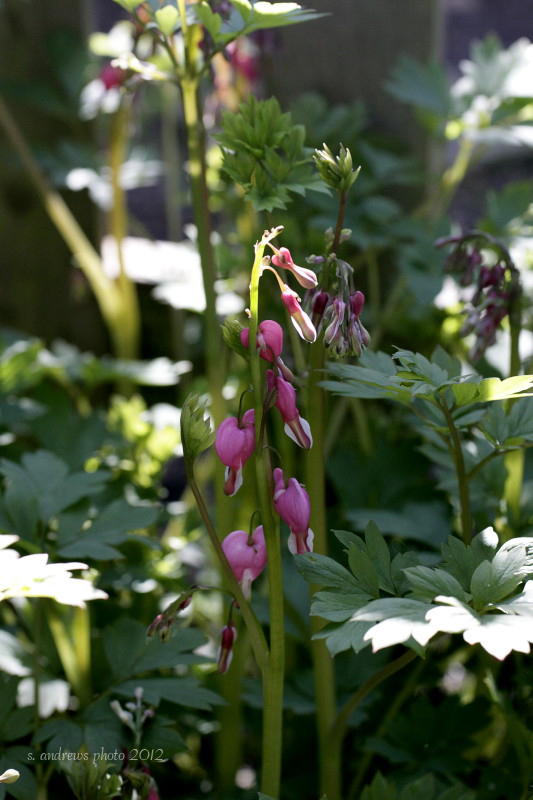 I like to think of the bleeding hearts as my Birthday Flower, she blooms right around my birthday every year. 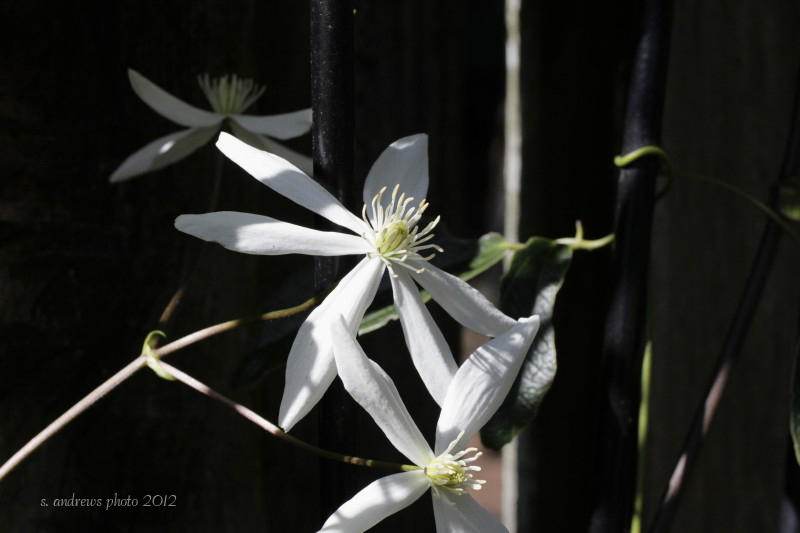 Clematis “snowdrift” , new to the garden last year. 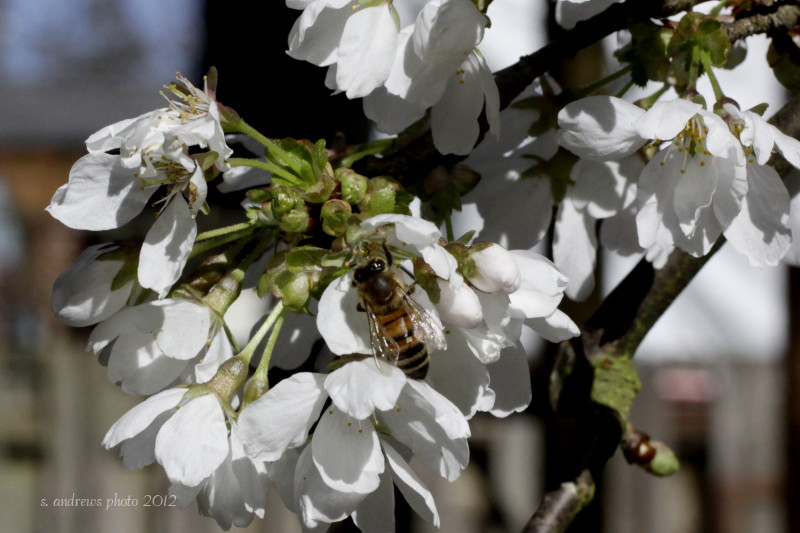 the bees will arrive. 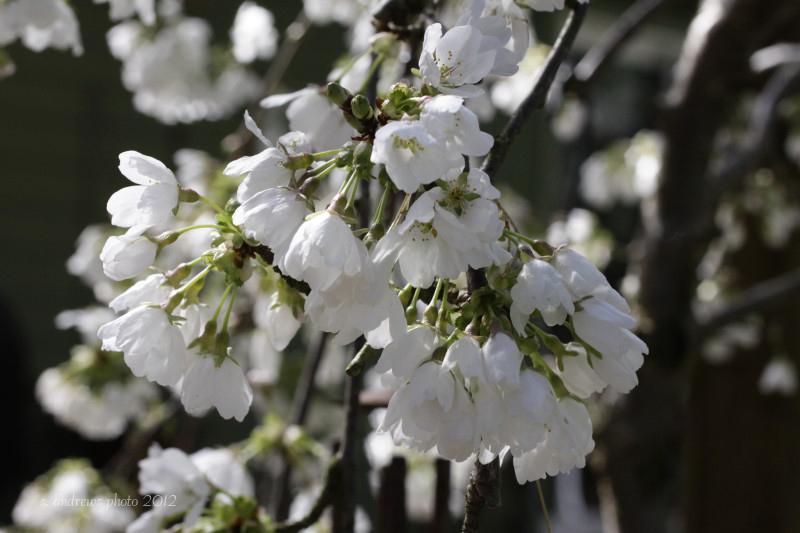 They move quickly in the springtime. 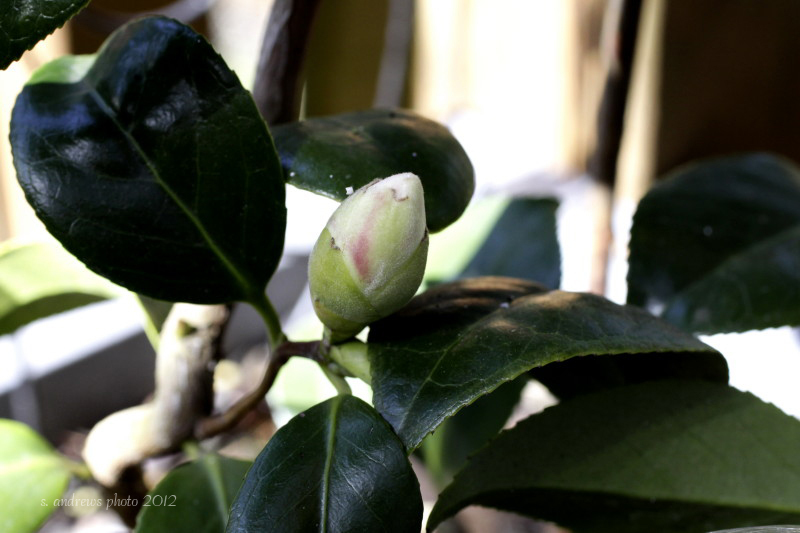 and photo taken late March. I am excited to see her blooms for the first time! 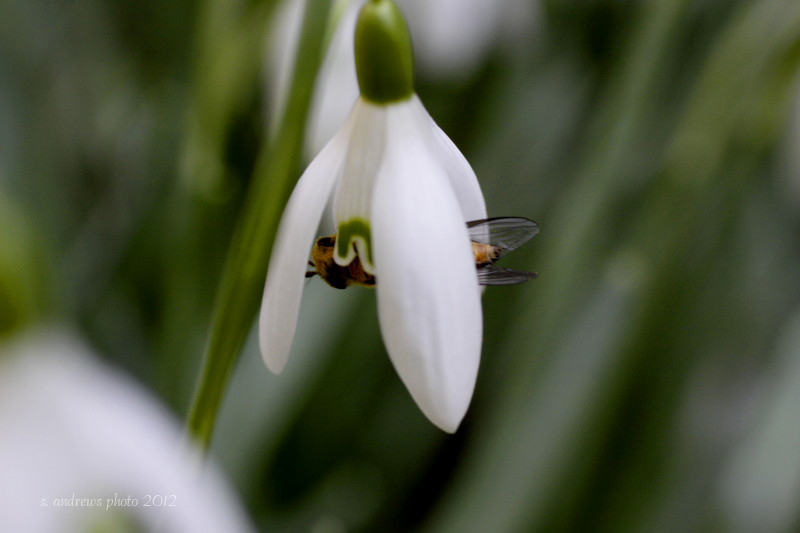 This entry was posted in in the garden, Oregon, photography, uncommon everyday art and tagged bee, camellia, cherry tree, garden, Oregon, rain, snow, snowdrops, white flowers.